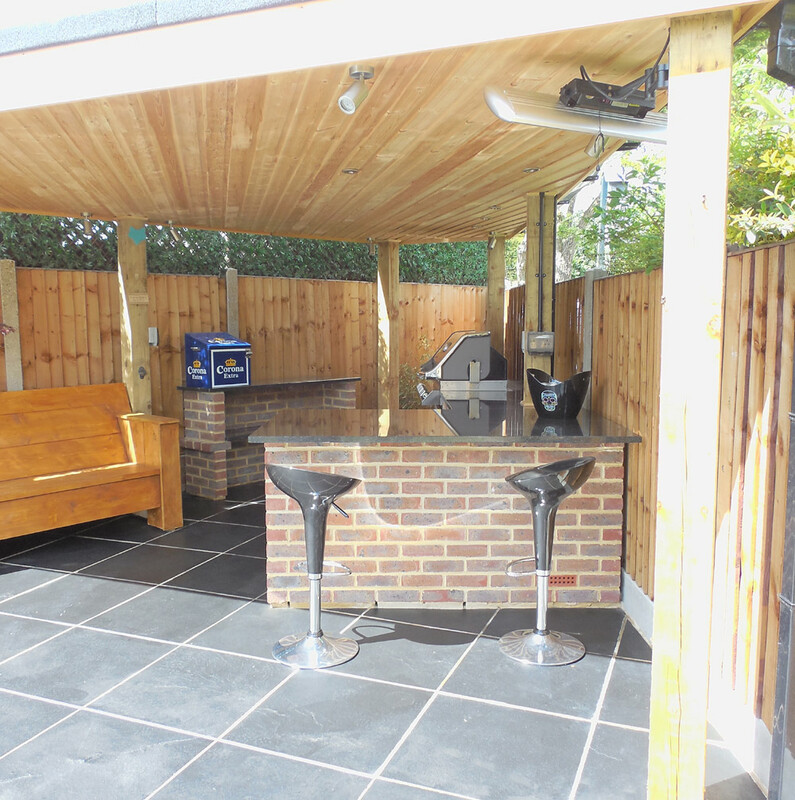 The customer was let down by a builder at the stage the roof was built. 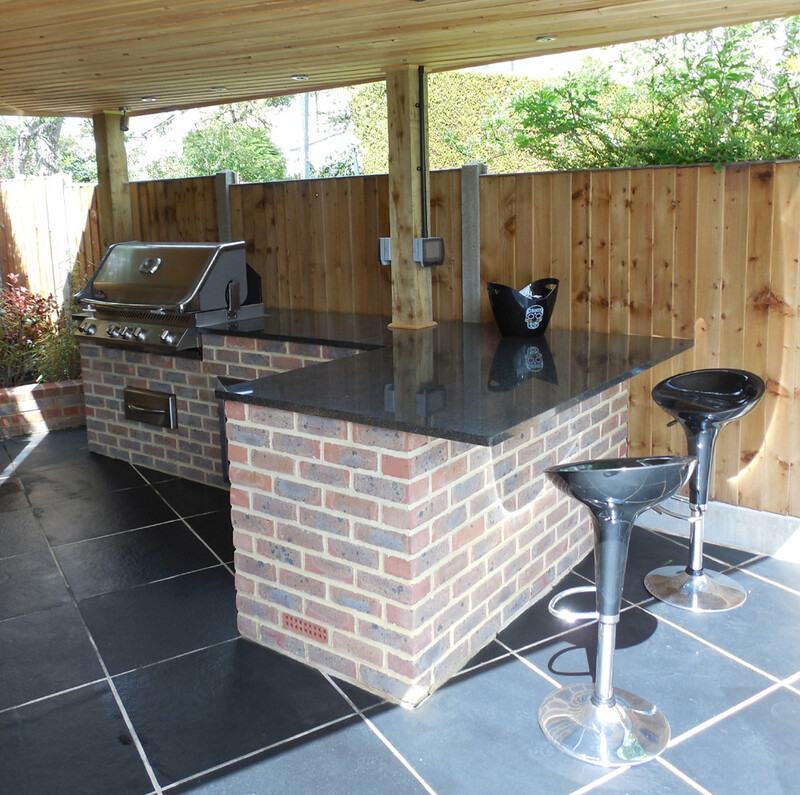 We were asked to design and build an outdoor kitchen with bar and seating. 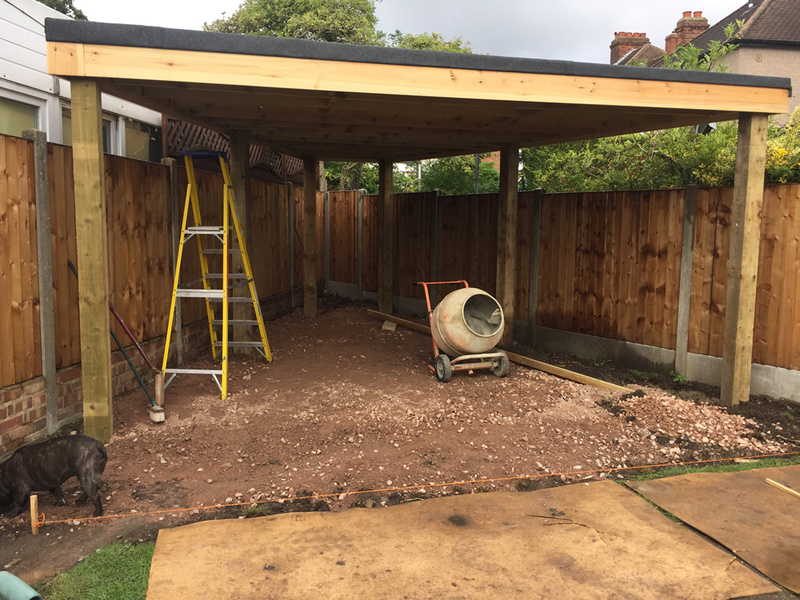 Firstly we added drainage for the roof, extended the slate flooring and installed a timber ceiling. 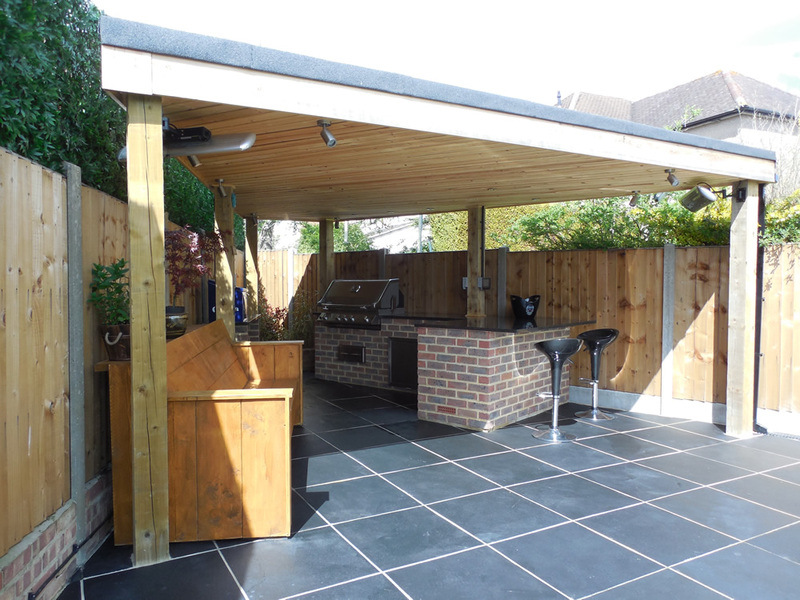 A brick BBQ area and storage area was built, granite top and bar added and BBQ equipment installed.